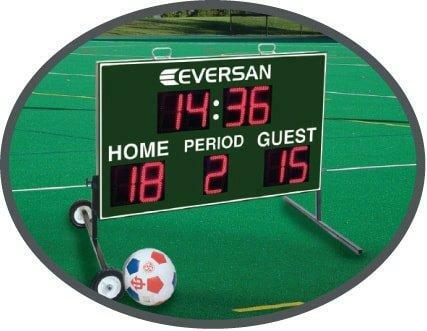 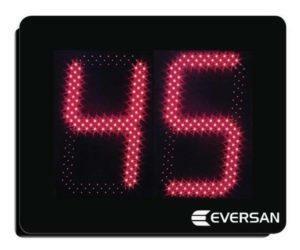 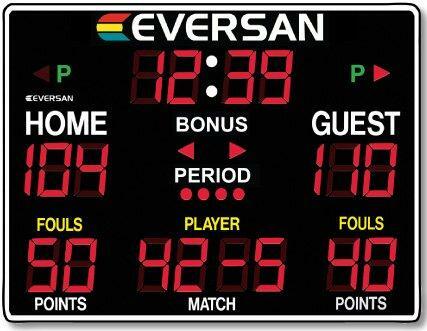 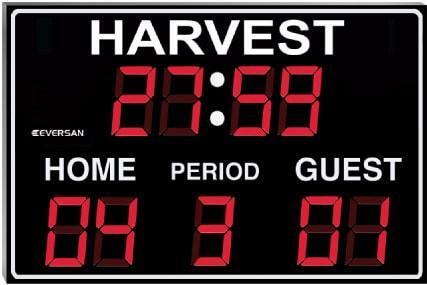 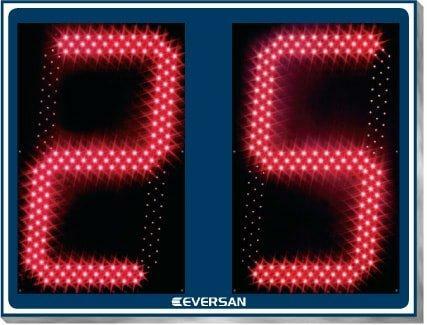 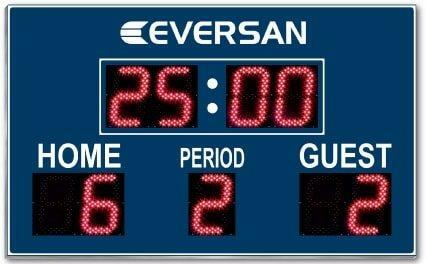 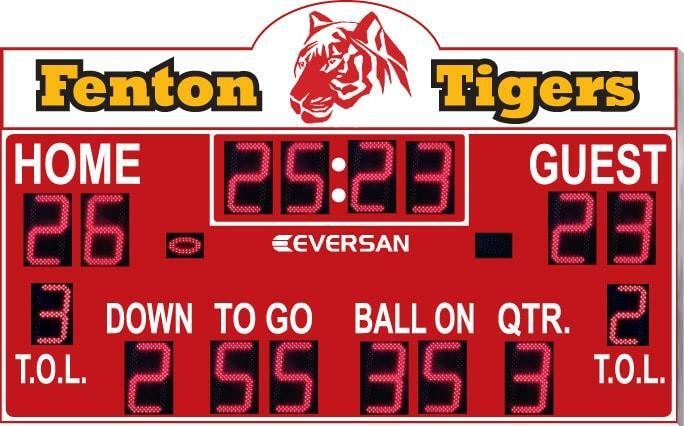 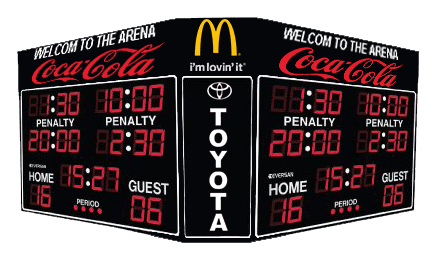 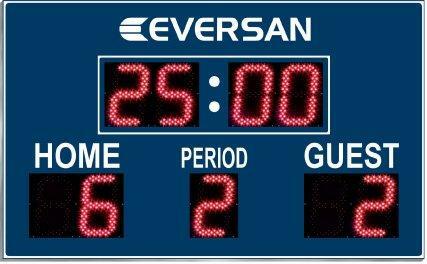 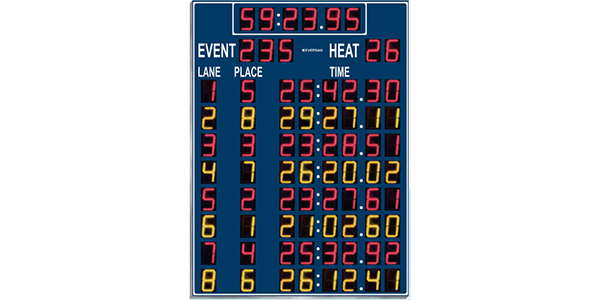 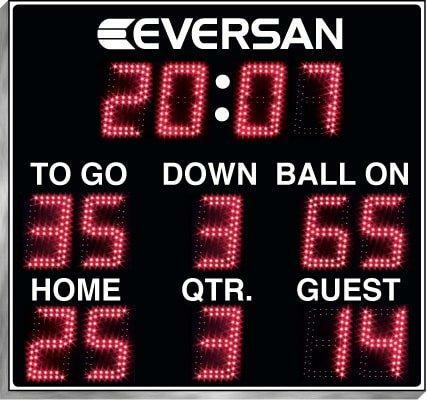 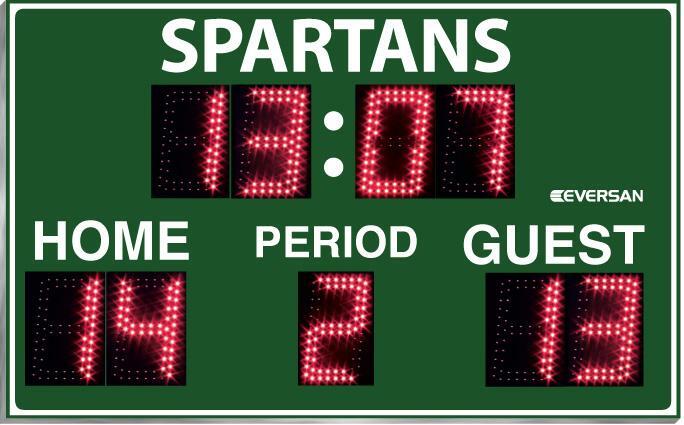 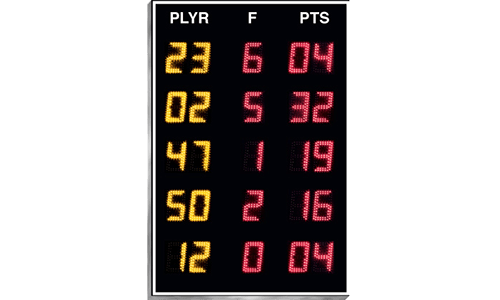 Scoreboards, LED Displays, Timers | Eversan, Inc.
7'L x 2.16'H x 6"
Model 9362 football/track scoreboard displays game time to 99:59, HOME and GUEST scores to 99, T.O.L. 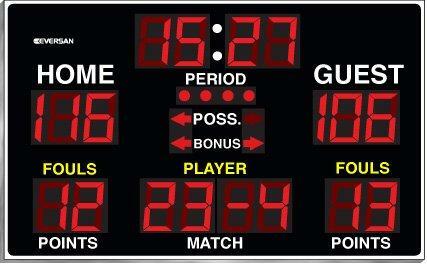 (time outs left), DOWN, TO GO, BALL ON and QTR (quarter). 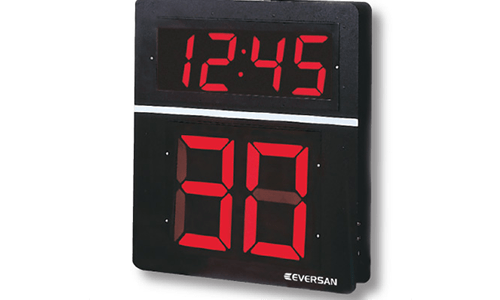 Model 9362 - Find Out More! 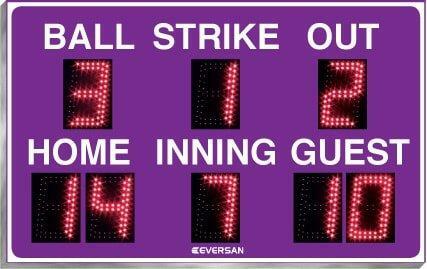 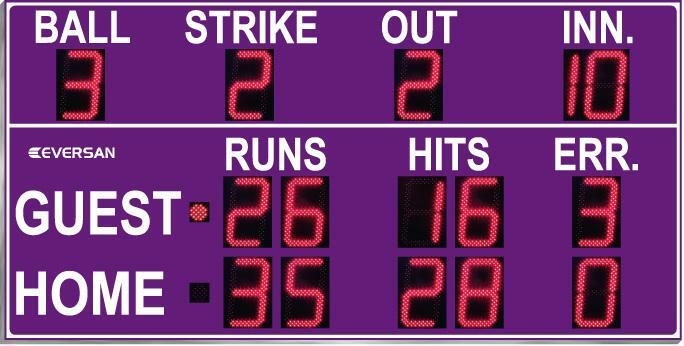 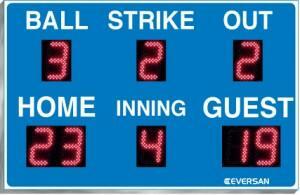 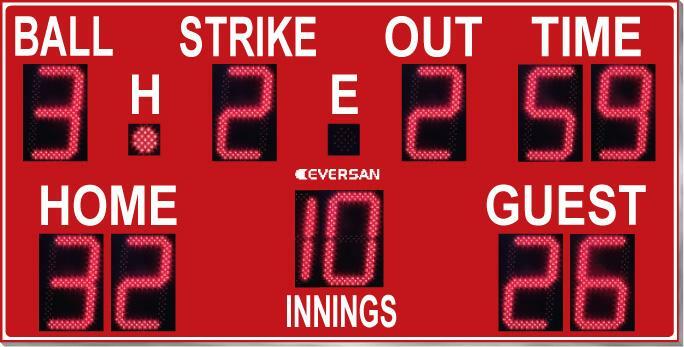 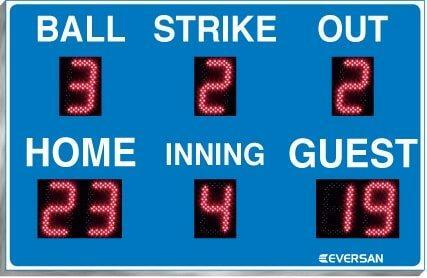 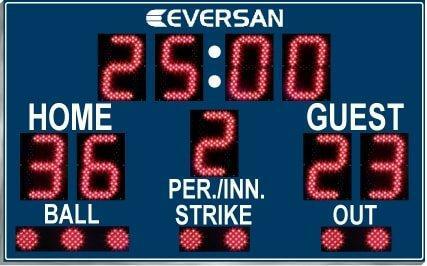 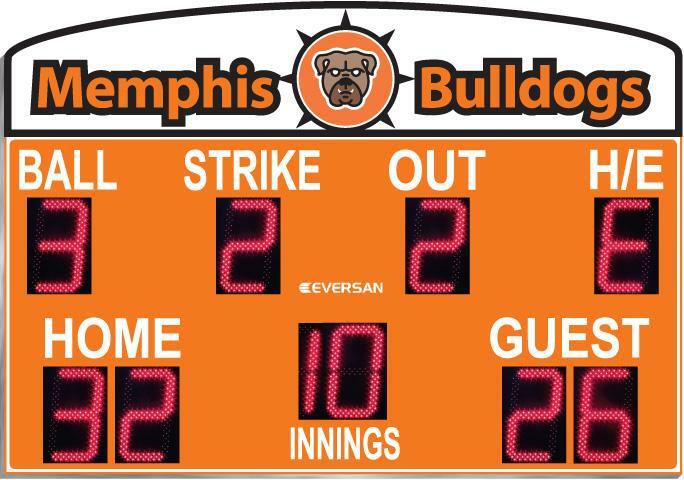 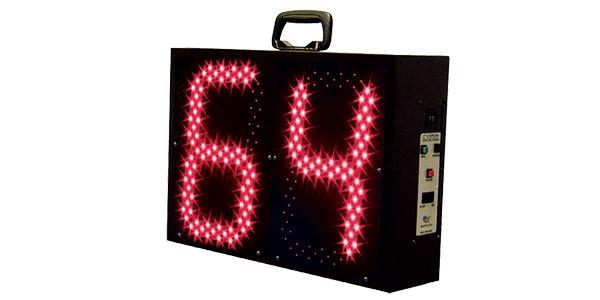 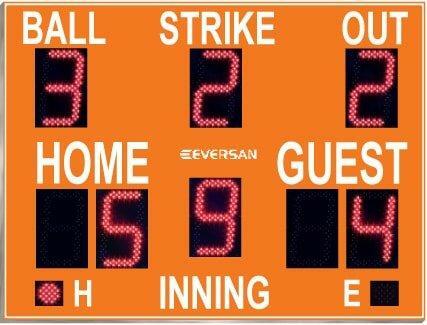 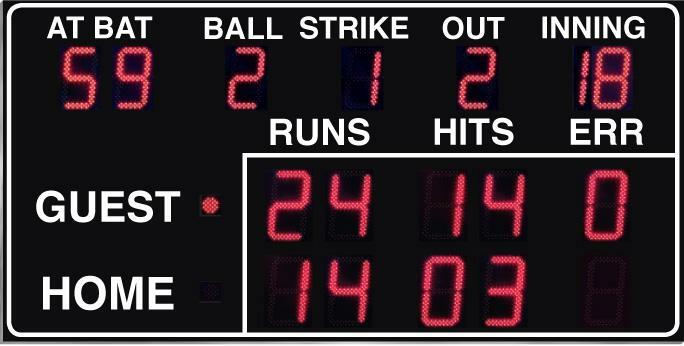 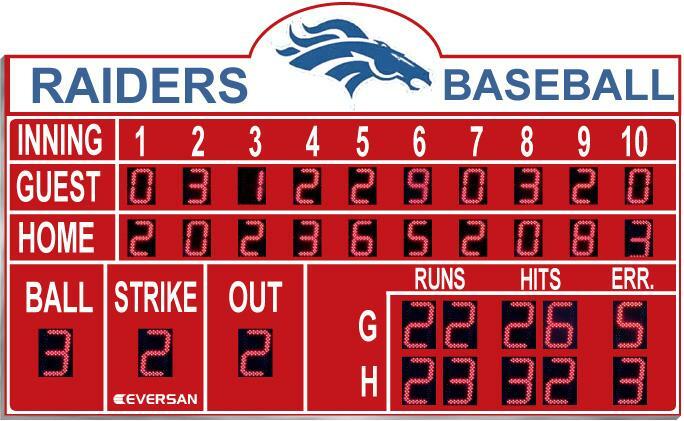 Model 9175 baseball/softball scoreboard displays HOME and GUEST scores to 99, INNING to 9, and indicates BALL, STRIKE and OUT. 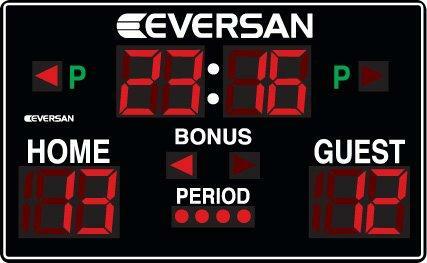 Harness free energy - Ask about our solar solution ! 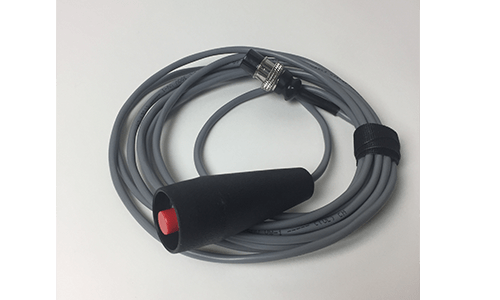 Model 9175 - Find Out More! 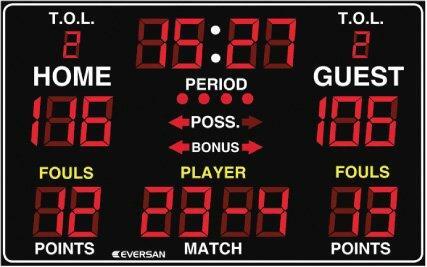 Model 9750 displays period time to 99:99, HOME and GUEST scores to 199, PERIOD to 4, and indicates POSSESION and BONUS. 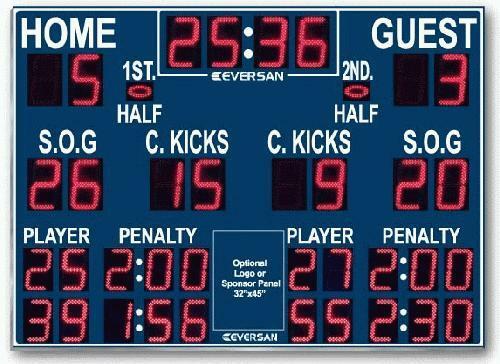 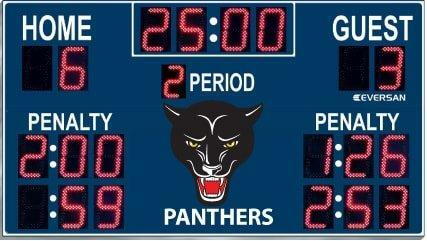 When the period time falls below one minute, the scoreboard displays time to tenths of a second. 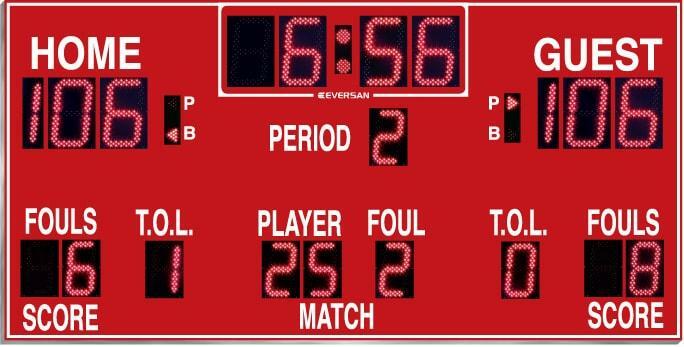 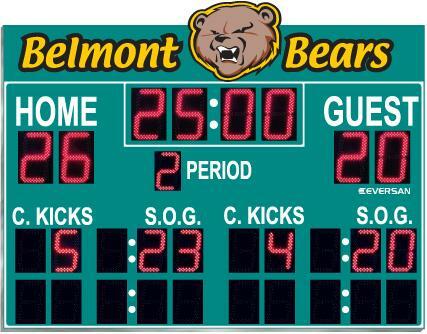 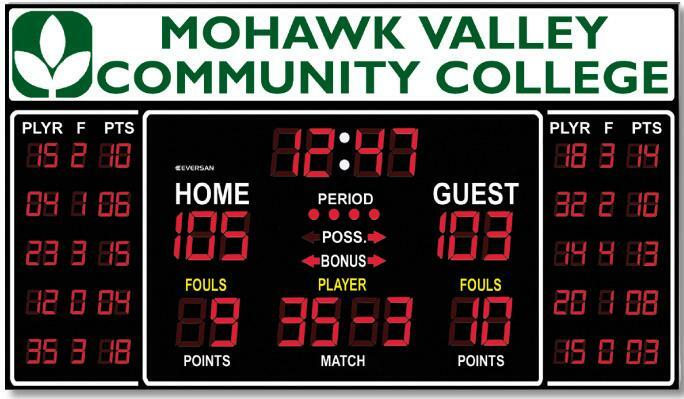 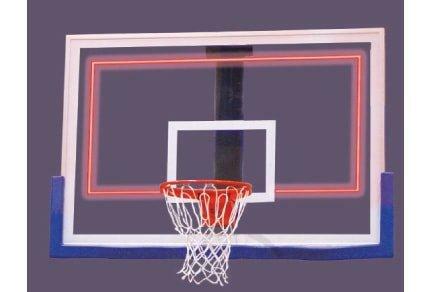 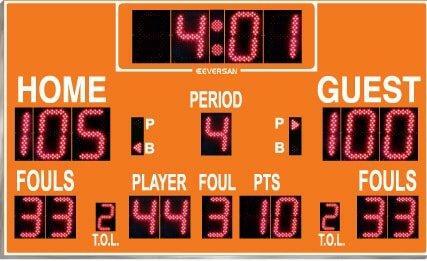 The scoreboard comes with choice of color and standard striping. 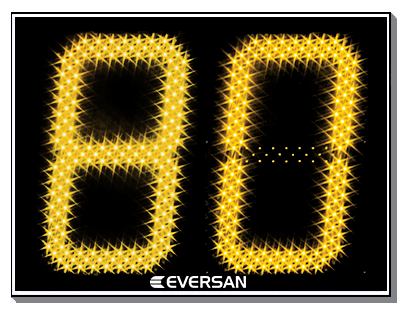 Model 9750 - Find Out More! 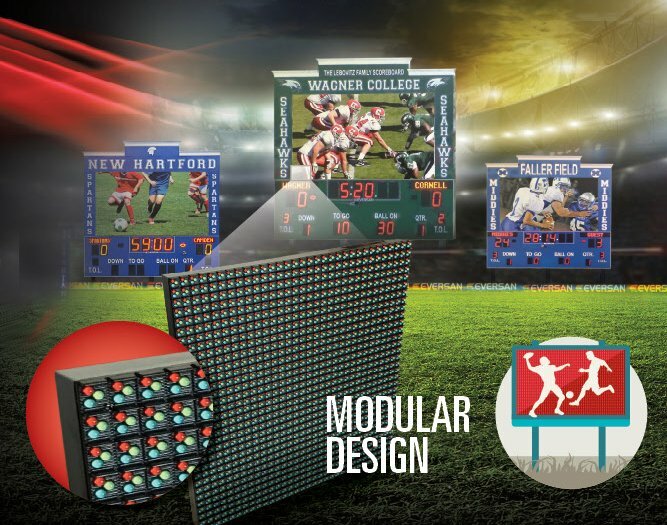 Ultra-bright LEDs, with extra-wide viewing angle, provide exceptional quality and crystal-clear imaging for any event. 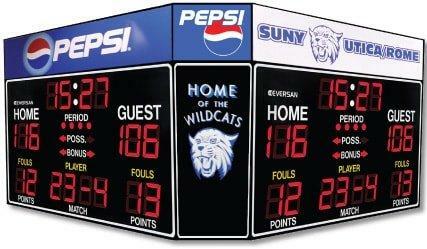 Create high-energy sporting events by involving your fans in a live full color LED video display. 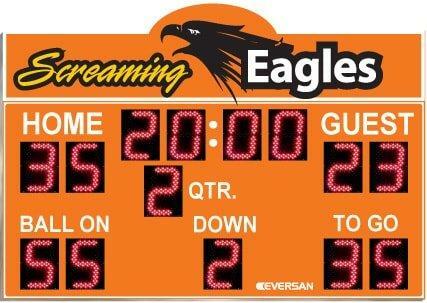 Replay heart pounding pivotal moments and missed action within seconds –Let fans relive the excitement of the game! 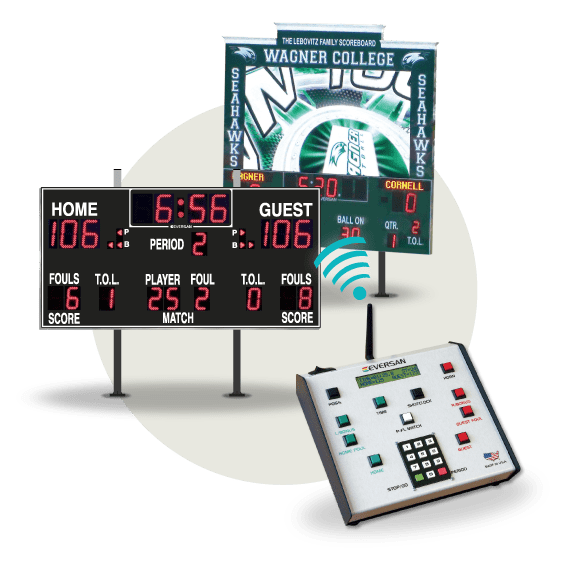 A streamlined video feed with animations enables easy communication with exciting promotions,merchandise, and concessions sales. 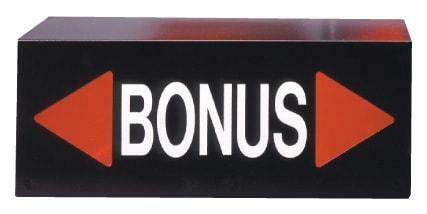 Just what you need to pay for your investment. 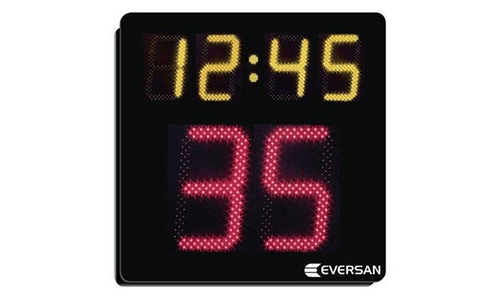 Eversan, Inc. products can be operated with 2.4 Ghz spread spectrum technology. 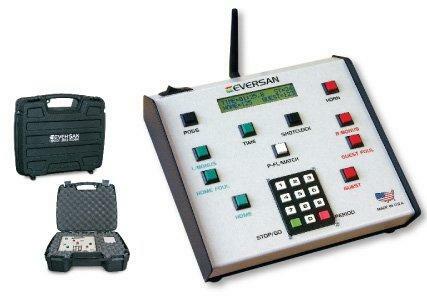 This system offers frequency hopping data transfer without interference from other wireless devices. 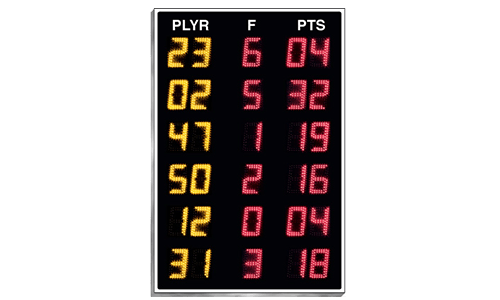 No channel setting is necessary; in the same coverage area the fully automated dynamic networking scheme allows multiple scoreboards to operate from one control console or multiple scoreboards to operate from multiple control consoles. 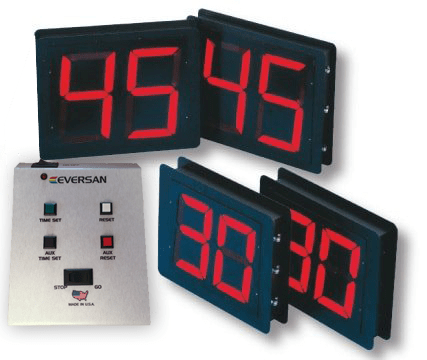 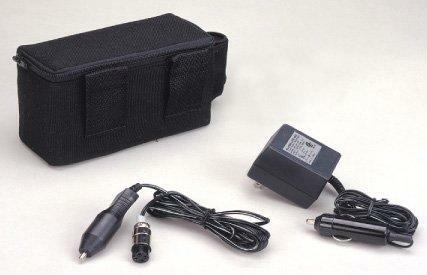 The wireless system eliminates cable clutter and reduces the installation cost and set up time. 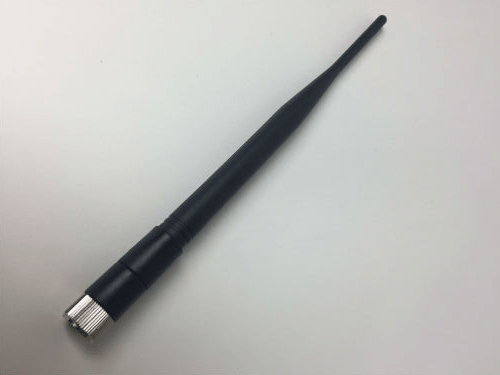 Long distance communication capabilities means data can be transmitted over a mile with elective antennas. 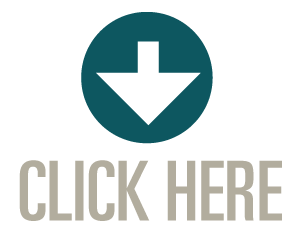 Find Out More - Contact Sales! 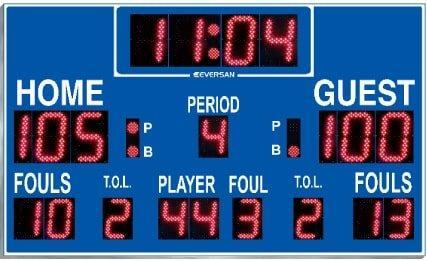 Which sport or options fit your needs? 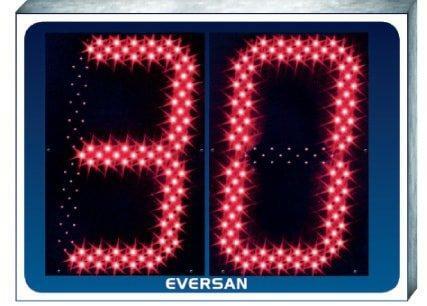 Eversan, Inc. is committed to bringing the latest in technology, using state of the art equipment and innovative engineering. 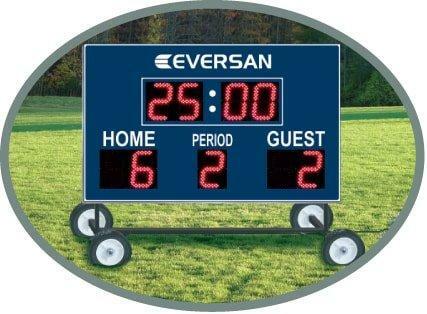 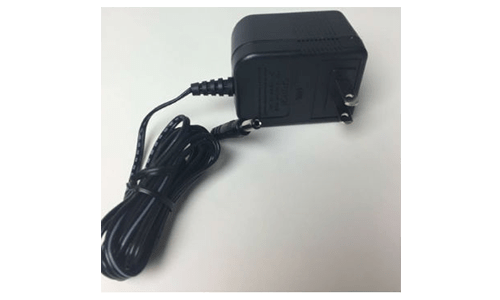 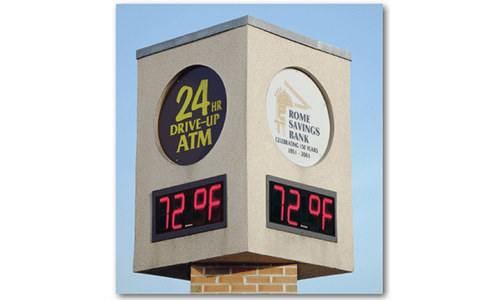 Our scoreboards are proudly manufactured in the USA with some imported components, which allows us to provide our customers with consistent, high quality durable products.